On September 5 and 6, 2007, AED’s POUZN Project participated in the “America Days,” hosted by the American Embassy in Lucknow, Uttar Pradesh. The event, which included several exhibits highlighting USAID projects such as POUZN, was held in celebration of decades of cooperation between India and the United States. At the project exhibition fair, POUZN India Field Coordinator Anurag Mishra presented the latest film produced by the project on zinc treatment in India. 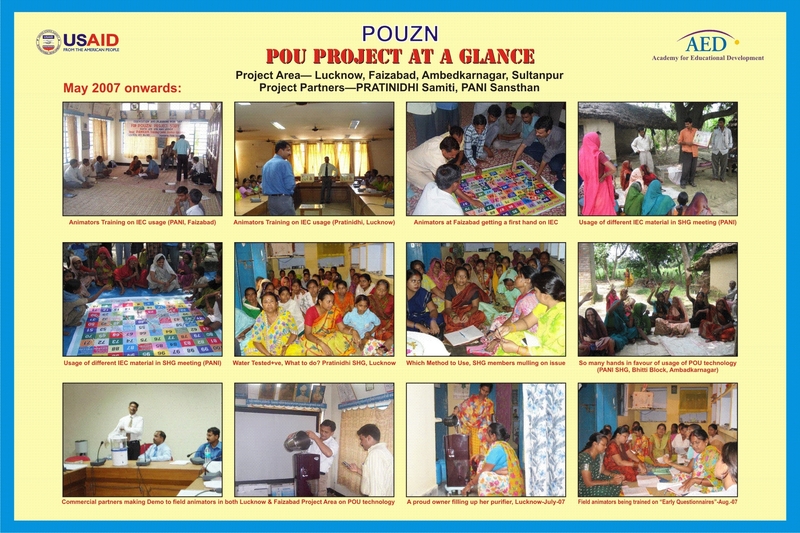 Also included at the POUZN display booth were POU IEC materials and a photo display depicting the progress of the project’s POU activities in India. 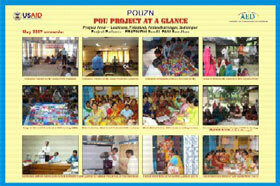 The display, seen below, highlights POUZN’s success at the grassroots level, and attracted the attention of many at the event—including the Mission Director of USAID-India, George Deikun. Mr. Deikun discussed with Mr. Mishra several aspects of the POUZN project including data collection strategies, the role of commercial partners, and the technical workings of water purifiers. 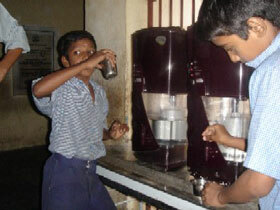 Mr. Deikun also expressed a hope that the POUZN project could be used as a model for expanding across India the use of micro-finance for low-income users to procure water filters. View a larger version of the display.